Last night the Special Election to choose a new State Representative for a District badly needing a strong one was won by Evandro C. Carvalho. He defeated three other candidates, drawing almost 50 % of the total vote. it was impressive win for the young, former assistant District attorney in his first ever run for elected office. The numbers (courtesy of local activist Jed Hresko) were: Evandro Carvalho, 960 votes; Karen Charles-Peterson, 521 votes; Barry O. Lawton, 190 votes; Jennifer Johnson, 151 votes; Roy Owens, 89 votes; 46 write-ins and one blank. total ballots cast : 1,957. By which he meant, first of all, Boston’s Cape Verdean community. It was he, John Barros, who in last year’s Mayor election, energized and focused Boston’s Cape Verdeans into a serious voting bloc. A community, however, already existed and has grown ever stronger in time — much of that strength drawn from the response by area mothers to the tragic feud that has seen several shooting deaths, among them three members of Isaura Mendes’s family. Mendes wasn’t the only person happy at Carvalho headquarters. Hugs abounded, cheers, smiles, tears. It had the feel of a sports victory, a win for Team Carvalho. And beyond that. 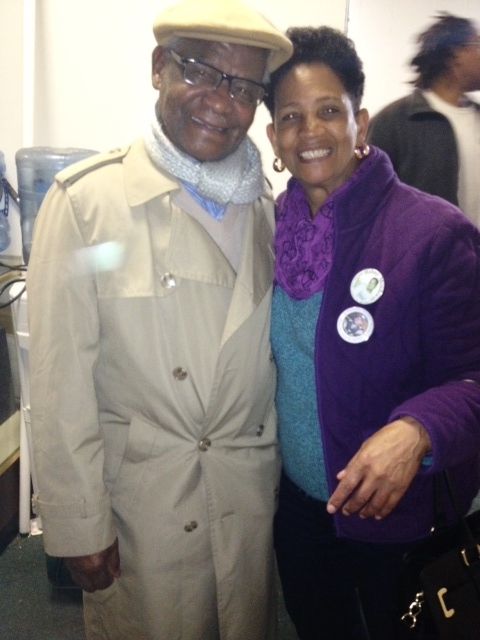 Carvalho won the Cape Verdean precincts overwhelmingly. I took the count at the strongest of them, Ward 8 Precinct 5 — Dudley Street from St Patrick’s Chiurch toward Harrison Avenue. There, a steady stream of voters showed up and gave Carvalho 156 votes to Charles-Peterson’s 19 and Jen Johnson’s 2. The defeated candidates conceded; two of them came to the celebration and embraced the winner. Register of Probate candidates Felix Arroyo and Marty Keogh both chipped in. District Councillor Frank Baker was there. So was State representative Dan Cullinane. 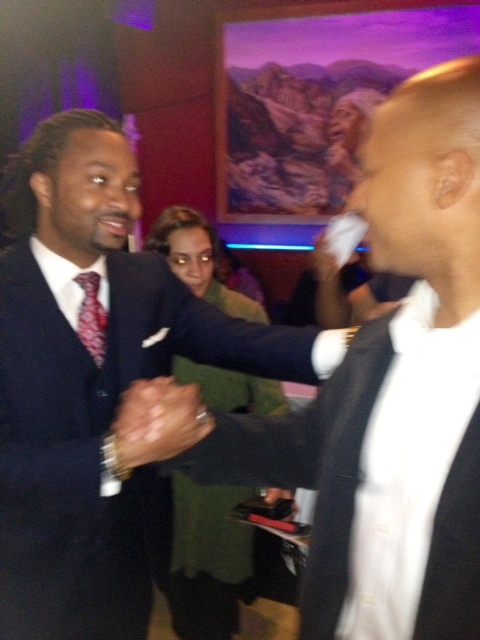 And John Barros, at whose Cesaria restaurant the victory was toasted to. For me, the Carvalho victory was a win for John Barros too — without the 2,071 votes that he gathered, from the District’ 19 precincts in last year’s Mayor campaign, and the effort needed to win them, last night’s result would surely have been different. I told him so. But Barros was having none of it. “it was a victory for the community,” he told me — and said it again in his speech. 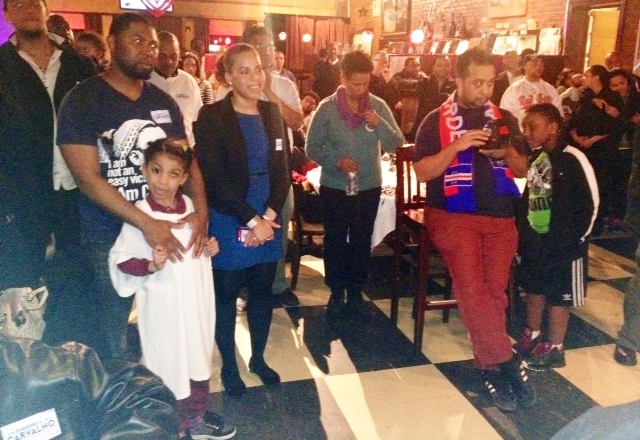 For the first time, Boston’s Cape Verdean community has an elected voice — much needed. And what of the people of the 5th District who are not Cape Verdean ? I saw few of these at Carvalho’s gathering or in his headquarters. Before this campaign began, his name was surely almost unknown to people not of Cape Verdean ancestry. That’s no longer true at all — victory cures all obscure-ness — but there is much talk that Carlo Henriquez, whose expulsion from the House occasioned this election, will seek his old seat back, and soon. Can he win it ? If the answer lay primarily with the District’s non-Cape Verdean voters, it would be very doable. But my own feeling is that Carvalho’s win is the worst case scenario for a Henriquez comeback. Carvalho’s vote really was a community one. The community is his now, and it will not be denied or broken — and the vote turnout will only increase now that Cape Verdeans know they have something to hold on to. The future of the 5th District is his to lose.